I am a veterinarian and currently working at a laboratory animal facility in HKUST. I would love to spend my spare time taking care of others' pets and interacting with the owners as well. I was raised in a very rural area in the Philippines where we had a wide array of animals inside our house and in our backyard, ranging from cattles, pigs, chicken, goats, dogs, and cats. 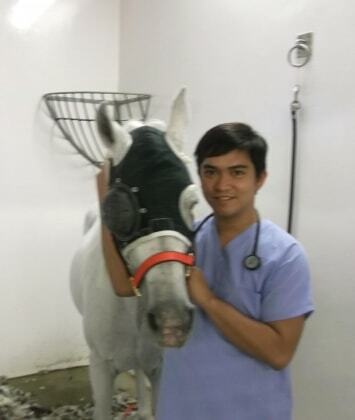 I completed my Veterinary studies in the Philippines and had my externship with equine medicine and surgery in Singapore and Dubai. I used to work in Macau and moved to Hong Kong for a job in HKUST. I am now working towards obtaining a license from the United States (through ECFVG and NAVLE) so I can practice in North America, particularly in the field of laboratory animal medicine. Currently I do not have a pet in HK as my apartment inside the university will not allow me to have one, but I do have 13 dogs and 7 cats back home (latest count as of October 2018) living comfortably in my parents' house. You can contact me here or through my phone number and I will respond as soon as I read your message. My whatsapp number is not local so please contact me here directly instead. Looking forward to meeting you and your pet(s). My pets were taken well care of and house was just the way i left it. Great communication and send photos/videos! Also goes out of the way to make sure pets are taken care of. So nice and really cares for animals!